Robata, or robatayaki, is a Japanese cooking method where food is cooked over hot coals. 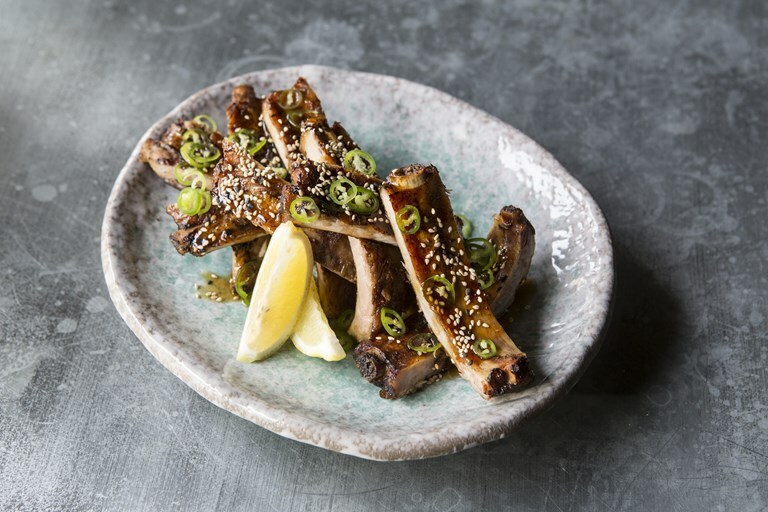 In this mouth-watering barbecue recipe Scott Hallsworth serves up smoky grilled baby back ribs with a honey, soy and ginger glaze, using a spray bottle to baste the ribs throughout the cooking process to keep the meat succulent. A perfect sharing dish for a party or barbecue, this is best eaten by hand with any leftover sauce on the side for dipping.